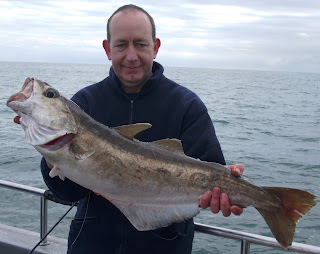 Some nice quality fish on the wrecks and rips roday with 3 cod in double figures, the best reaching 18lb and a good run of pollack to 14lb. 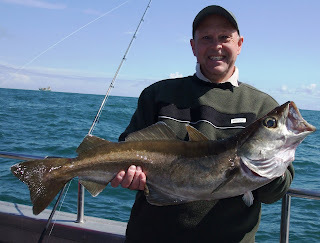 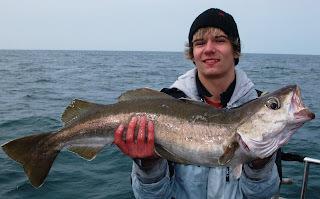 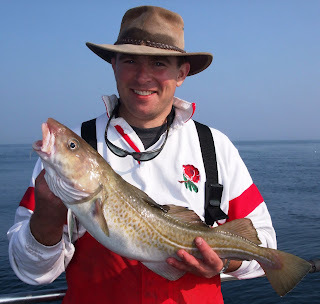 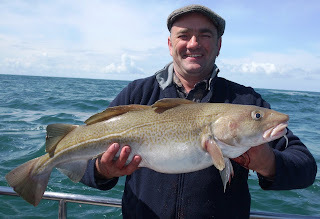 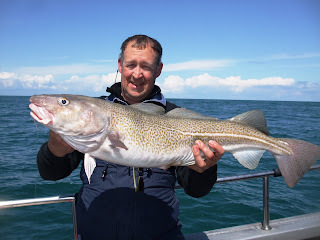 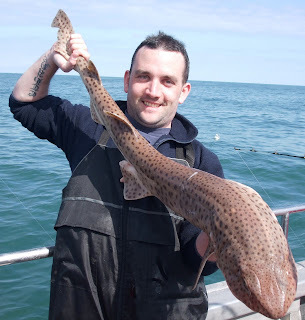 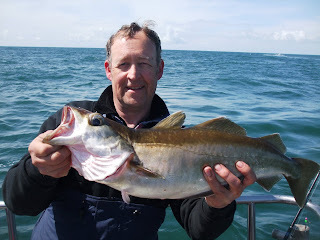 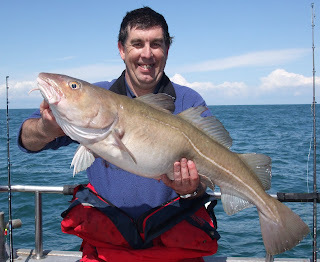 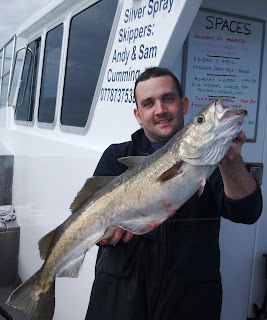 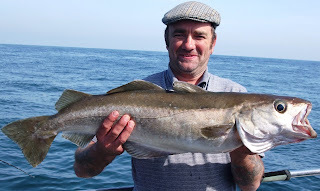 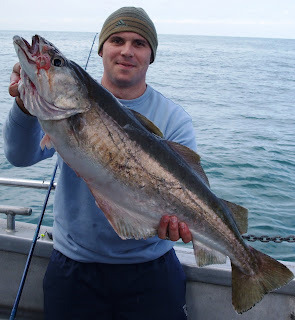 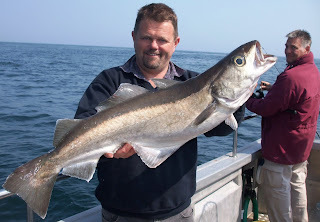 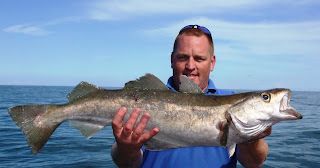 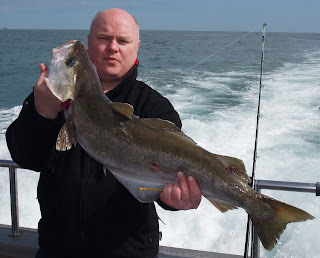 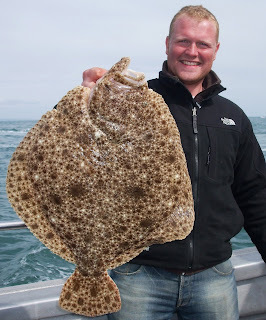 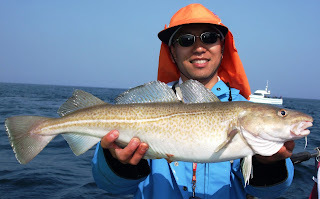 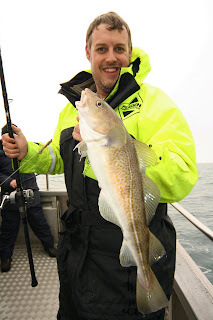 Miles Northover with his first ever cod! 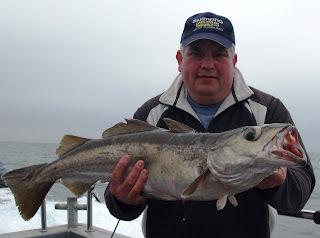 A 14lb bull huss caught while congering. 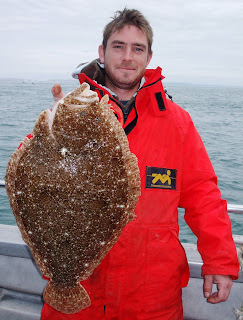 140% of specimen weight. 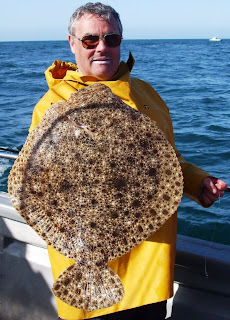 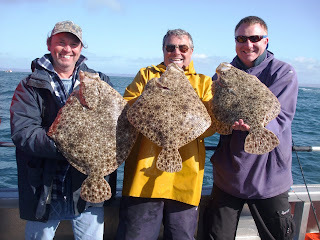 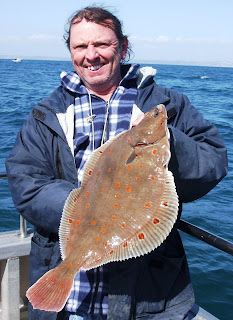 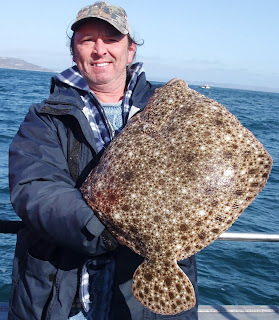 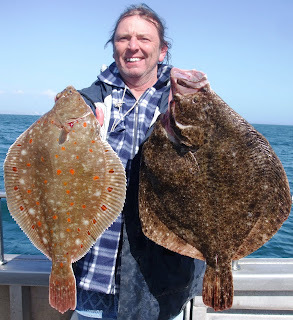 Jammers witha 9lb brill equalling the boat record. 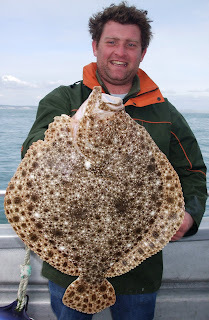 180% of specimen weight! 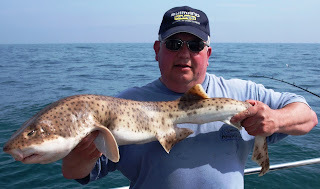 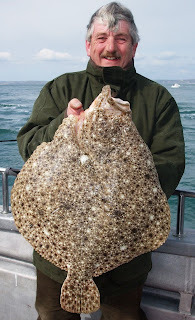 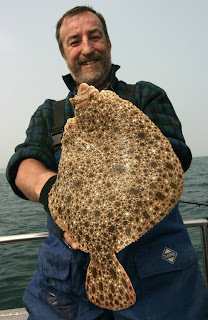 Off to check out the wrecks to the south of Poole with live sandeels for bait on a big spring tide. 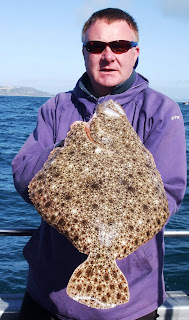 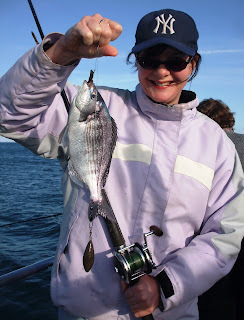 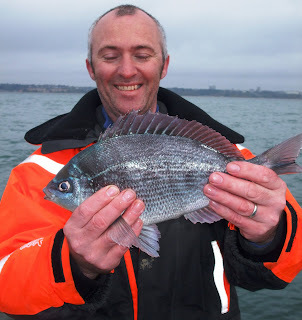 A good catch of pollack to 16lb. 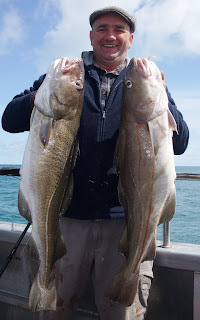 Congers and a fine bull huss at slack.